It’s 2014! Welcome back to the office. Here’s a quick tip to start the year productively. 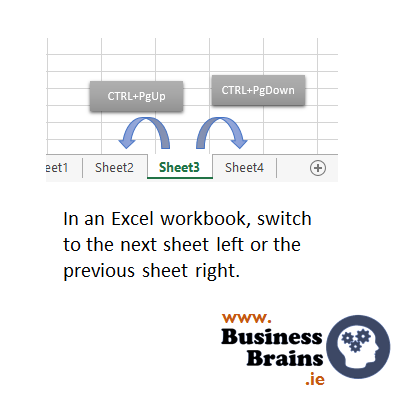 Press CTRL+PgUp or CTRL+PgDown to move between the sheets within an Excel workbook. Share or Like this tip. Next one is on the way.